"Pirate Dice is a light but strategic dice game where players compete to be the first to find the sunken treasure in Pirates Cove. Will glory and fame by yours, or will you and your friends end up at the bottom of the sea? Players roll and place customized command dice to pilot their ships around the sea. 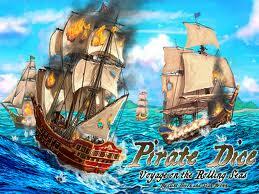 Commands allow ships to move, turn, fire cannons, and even interfere directly with their opponents." "Defenders Battlefields is a competitive fantasy battle game for 2 to 4 players. 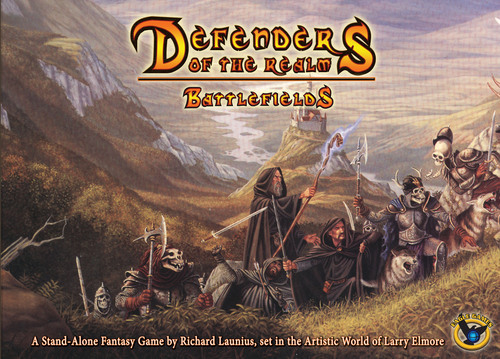 In the game, one side takes the role of the Dark Lord's invading army and minions while the other side represents the heroes and forces defending the Realm. The battles are fast and furious as players place minions and heroes onto the battlefields and attack their opponents using a variety of abilities and special skills. The winner is the first side that is victorious on the agreed-upon number of battlefields." "Fleet is a strategic card based game featuring a unique commercial fishing theme. 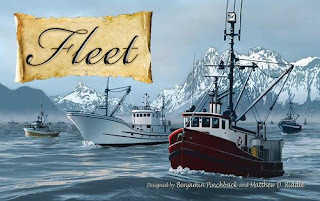 Fleet uses both existing and new mechanics to create an exciting playing experience.In the northwest corner of Nunavut, Canada, a formerly inaccessible bay off of the Arctic Ocean has become reachable through a secret inlet. Untouched by the hands of time and fed by both the ocean and warm fresh water springs, Ridback Bay is teeming with sea life. A remote, timeless bayside village is now being inundated by entrepreneurs awaiting the influx of the world’s greatest fisherman to harvest this plentiful bounty. The docks and warehouses are being revitalized and now it is time to begin the real adventure. Go build your fleet and become the master of the seas!"